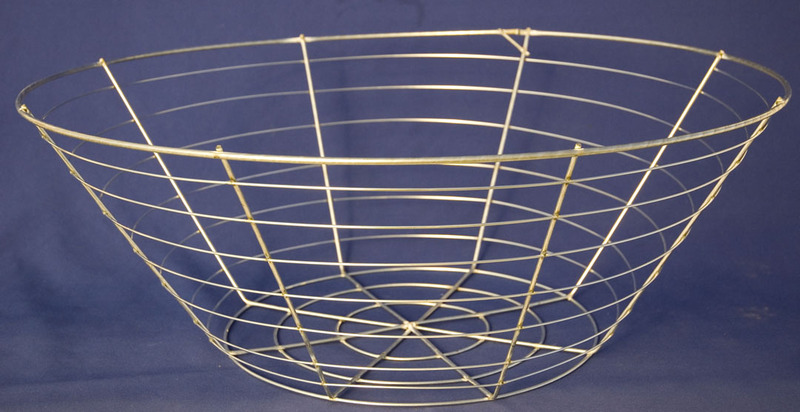 This galvanized wire basket is made from heavy gauge rigid wire. The strongest basket on the market. Comes with four strand galvanized hanger. Shipping charges additional. NOTE: SHIPPING CHARGES BASED ON ONE CARTON 27"X27"X12". IF YOU ORDER MORE THEN ONE, THE CHARGES CALCULATED WILL SHOW AS MULTIPLE CARTON SIZES. WE WILL ADJUST THE CHARGES OF MULTIPLE PIECES.